Hublot was founded by the Italian watchmaker Carlo Crocco in 1980. Hublot watches are known for their rubber strap and distinctive design which resembles that of a ship’s porthole. It’s no coincidence that “hublot” is french for porthole. Their first watch was a simple but elegant gold timepiece, with no special features outside of the usual 3 hands and a date window. The only design touches were the 12 screws for the case, which doubled up as hour markers. The watch also had the now famous rubber strap, which took 3 years and $1 million to develop. This was a huge risk for an up and coming company, as rubber was not really considered an acceptable material to accompany gold at that time. Now most companies will have a variation with a rubber strap, and it was this copying from other manufacturers which cost Hublot the edge it had in the market. 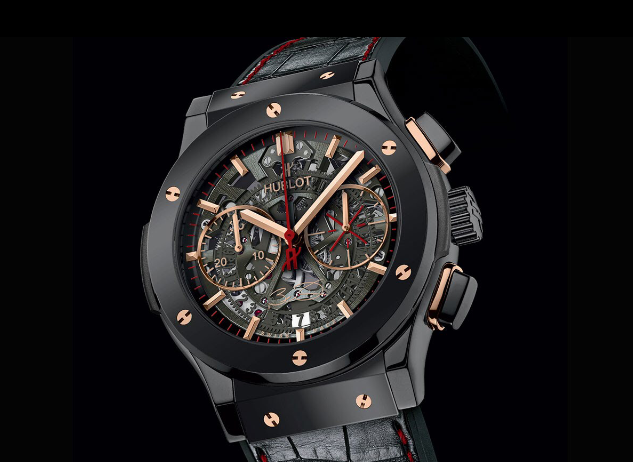 Hublot became the global company it is today under the guidance of Jean-Claude Biver. His “Big Bang” collection introduced in 2004 pushed the band into the mainstream, resulting in a four fold increase in revenue in just 2 years. 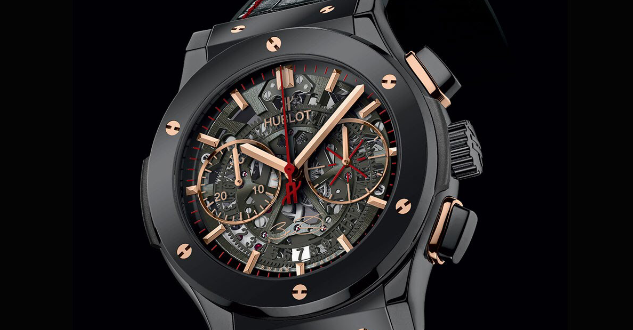 Hublot is now best known for the special editions of watches which come about through their sponsorship of major events, brands and sportsmen. This is a constantly evolving process, and the last few years have seen the release of the Dwyane Wade Classic Fusion (pictured above), the Aerofusion 2016 ICC World Twenty20 and most recently the Unico Chronograph Retrograde UEFA Euro 2016.